The iTradeshow app can either be used at the tradeshow or by sales reps to take orders from an iPad / iPhone. The products would be uploaded into the iPad / iPhone that are checked for ‘tradeshow’(pulling from your system). 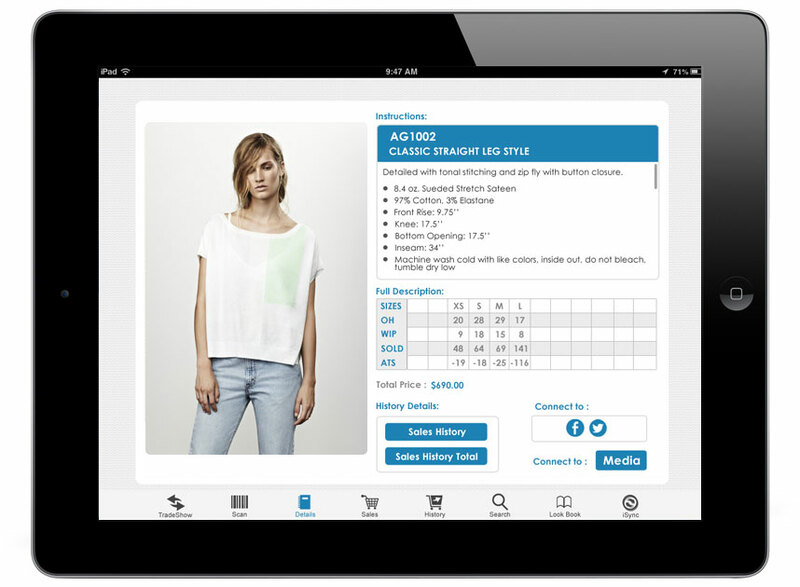 iTradeShow is fully integrated with our ERP system to automatically send orders from your iPad / iPhone whether you’re at the showroom or in your booth at a trade show. With one simple click of a button from our ERP software, you can add styles to the app at ease.The iTradeShow system can be used online or offline, and you can sync styles and customers to the device. This allows you to take orders and send them later, in the event that internet connectivity is unavailable.